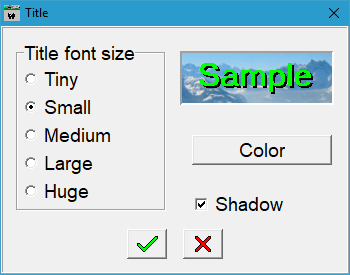 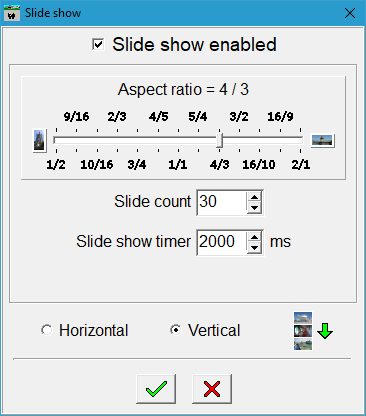 It is also possible to resize the display window by dragging its edges or corners with the mouse. 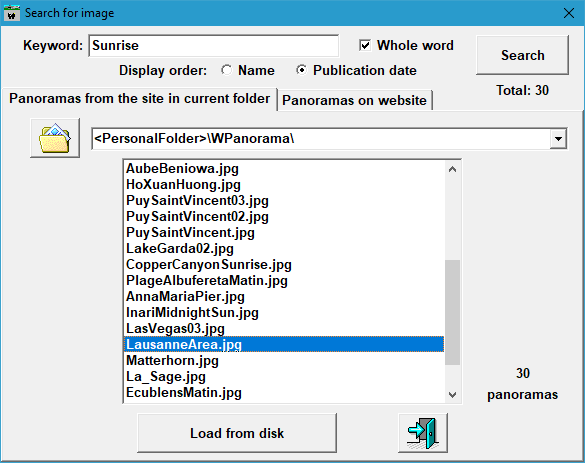 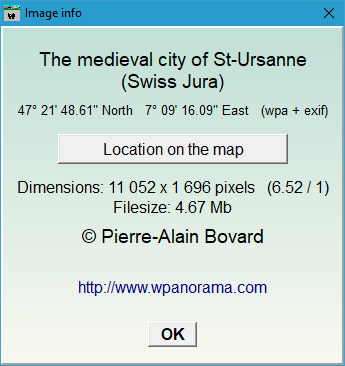 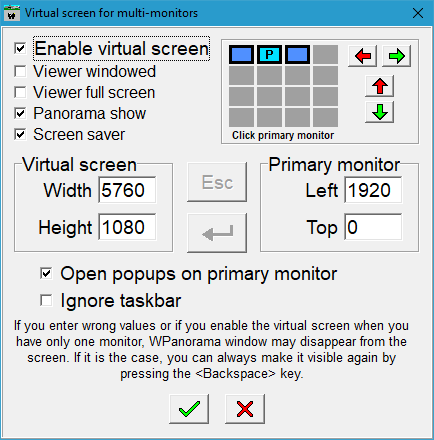 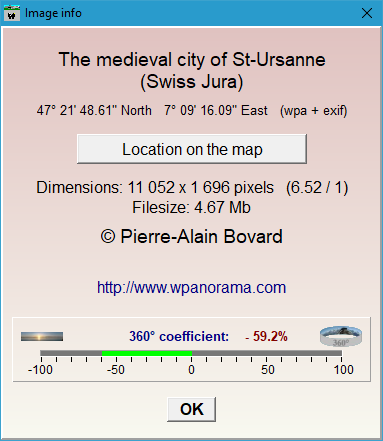 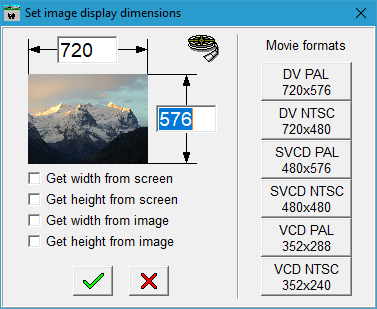 With WPanorama.exe, it is possible to display the pictures in full screen mode. 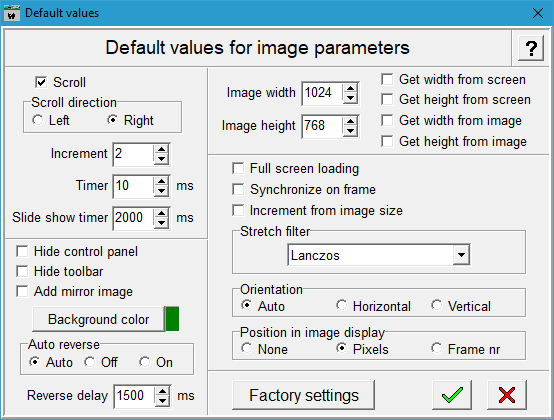 The user can chose between default mode or all the graphic modes supported by his graphic board and monitor. 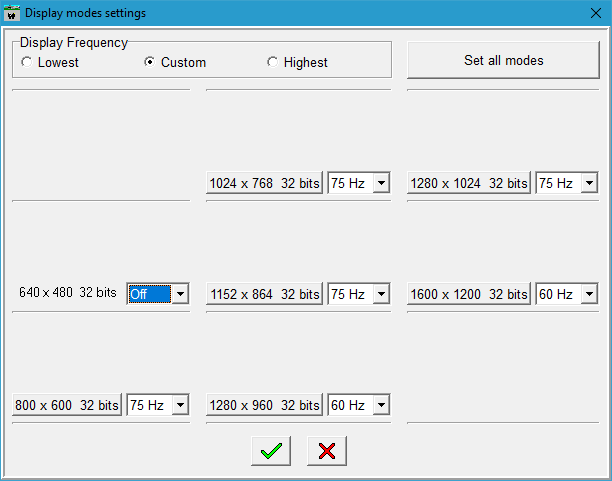 It is possible to fine tune all the modes in order to get the optimal display quality for each of them. 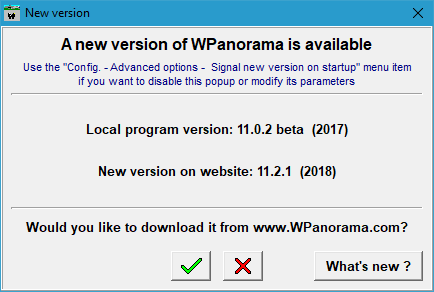 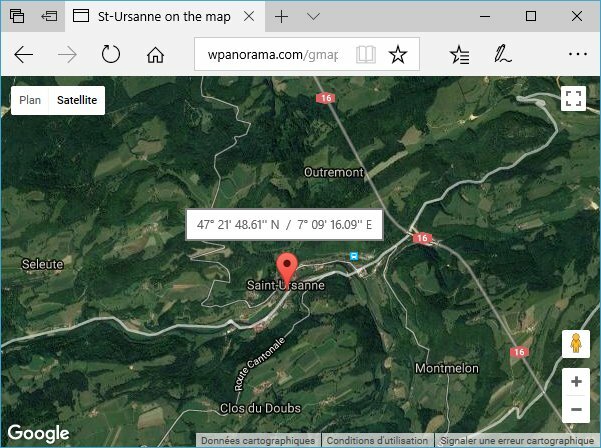 WPanorama can signal you at startup if a new version is available. 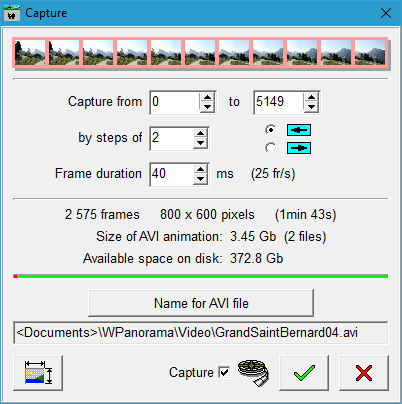 If it is the case, it is possible to download it directly from the website. 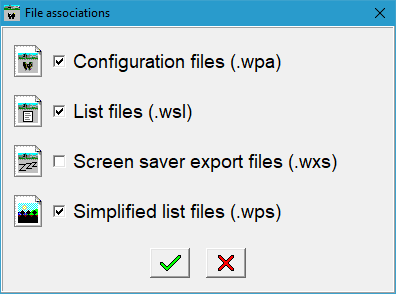 You can chose whether you want to be notified of the final versions only or of the beta versions as well. 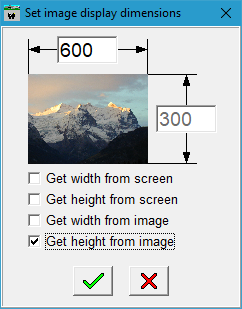 This option can also be completely disabled.